The wedding industry is stuck in a stale system. You must have an online presence and advertise your goods or services – but you are limited by the current options. The most popular sites charge you more and more each year, while providing less and less return on your investment. They aren’t trying anything new or innovative – they are sticking with what works – just so happens, it is only what works for them. I’ve been where you are – I spent over a decade growing my wedding business, and I spent an insane amount of money on these sites. When I questioned what they were providing, I was told that my profile wasn’t “optimized” or that I wasn’t following through on the leads they were providing. Of course none of that was true – all they had were unfounded excuses that placed the blame back on me. 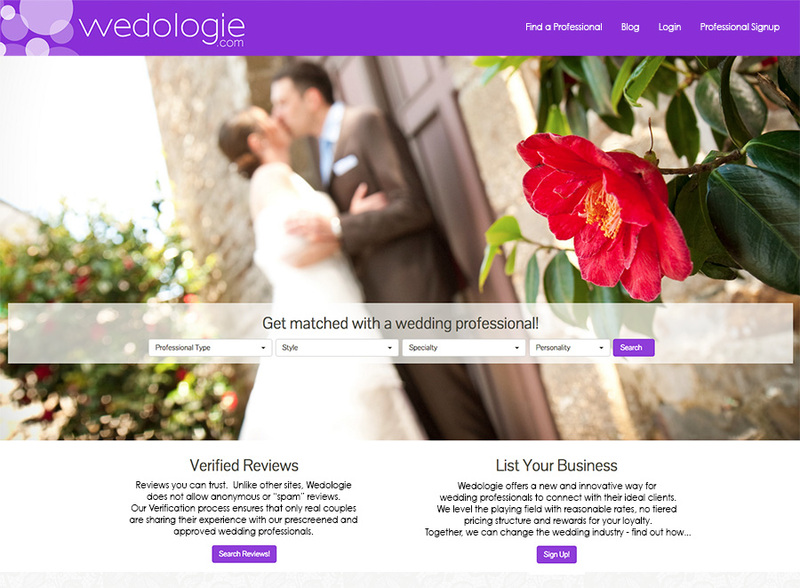 Small businesses are the foundation of the wedding industry, and we understand this because Wedologie was created BY wedding professionals FOR wedding professionals. Unlike other sites, we aren’t going to forget about this foundation. One part of our commitment is that we aren’t going to take advertising dollars from national companies that compete with small businesses. Imagine being a part of a site that gives you a truly innovative way to connect with your ideal clients. A site that provides a verified review system, giving you an element of control. A profile that can actually help your search engine optimization. Imagine being rewarded for your loyalty – when you join and support Wedologie, you will be locked into your low rate for the life of your membership. No increases, no bait & switch, no kidding. We know this will be an uphill battle, but together we can build a site that not only connects you with the right couples and supports your business, but also promotes positive change in the wedding industry. We have already met with a good number of wedding professionals in Philadelphia (and will be meeting with many more) and we got tremendous input and feedback – which we are using as we develop the site. But we are going to need more help & input. We are starting to form Advisory Boards in all major cities to help us spread the word before our official launch. We don’t want to just build a website, we want to grow a community. We want to bring together the people who “get” what it takes to be successful and flourish in this industry – leaders who know how to grow their business through their strong connections and collaboration.